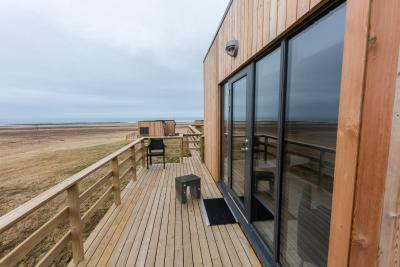 Lock in a great price for Dis Cottages – rated 9 by recent guests! great location, great view, sunset and aurora galore... I just love these modern box-style rooms. I could easily live in one of thse, I don't need much more. 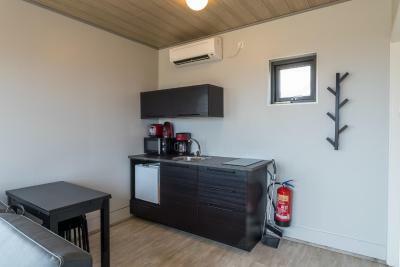 Great shower, comfortable bed, lots of windows and light, and water boiler for coffee and soup. 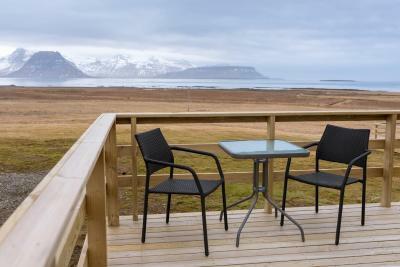 The location was superb with views across the fjord to Grundarfjördur and Kirkjufell. The bed was super comfortable and the hosts friendly and helpful. The cabin was well equiped and the internet was reasonable. These are lovely cottages and we got to hang out on the deck attached and watch the Auroras. Nice perk for sure! Very cosy and charming cottage. The view is amazing! Has all the neccessities you might require. Good space for parking. Close to the nearest town. Beautiful property with a beautiful view. Even got to see the northern lights! Kitchen is fully equipped was able to easily cook dinner. Our host was wonderful. She came by to greet us after our arrival and ensured we had everything we needed for a lovely stay. We would definitely stay here again!! 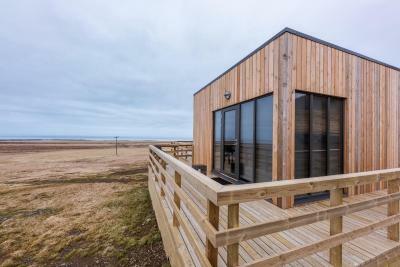 Beautiful location, great views of the area and perfect for viewing the northern lights (particularly the odd numbered cottages, which have north facing windows). It was nice to have a "kitchen", though it is only a one burner hot plate. 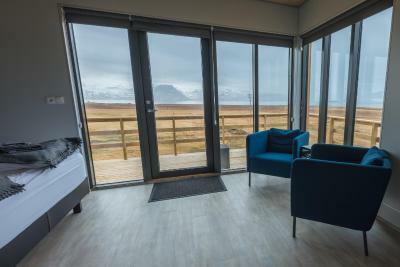 Beautiful, modern cottages with a fantastic view of Kirkjufell. The location is quiet (all you can hear is the birds! 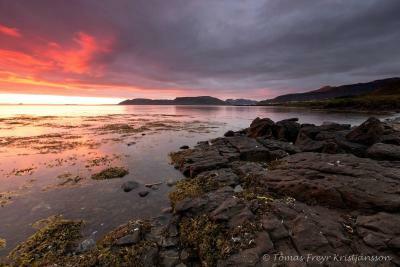 ), but near the town of Grundarfjordur. The cottages were in a perfect location, spotless in and out, the most amazing view for the glorious sunset at 10:30 p.m. We could have stayed in this spot for days, sadly, we only had one night here. We envision a winter stay at Dis Cottages in the future. My husband and I love everything about this property! 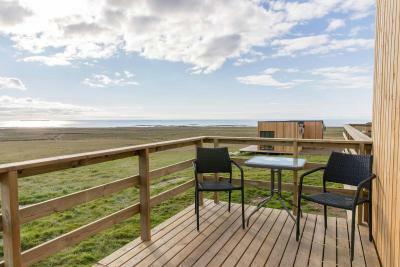 One of our top picks in Grundarfjordur.Located in Grundarfjordur, Dis Cottages offers accommodations with a patio. Complimentary WiFi is offered. When would you like to stay at Dis Cottages? This apartment has a patio, mountain view and seating area. House Rules Dis Cottages takes special requests – add in the next step! Dis Cottages accepts these cards and reserves the right to temporarily hold an amount prior to arrival. A little bit rough road getting into the property. Minor things such as the toilet tissue rack was a bit loose, had to hang the roll on the door handle instead; the blinds were installed incorrectly leaving more space between them for light to come into the cottage; not enough storage/space to hang clothes or put away luggage etc. The cottage was new, clean and spacious. The cottages had a good view of Kirkjufell if weather is good. Easy check-in and check-out process. There was no one next to our cottage so we had a lot of privacy during our stay. No closet for hanging clothing or clothing shelve. Need transport to move around. Excellent place for quiet, star gazing, aurora gazing trip (weather permitting). Self check in and check out. I wouldn't say that there was anything we didn't actually like. The layout could be improved perhaps with the chairs arranged to maximise viewing, especially when you don't have or need a television. I would also suggest a small round table in front of the chairs to dine at instead of the stools and fold down table. We used this as bench space for cooking preparation. I would also suggest de-icing the timber deck, as it was a little slippery when trying to move in with our bags. Lovely, tiny cottage, but it contained everything we needed. The kitchenette with induction cooking served us pretty well. We moved the chairs and side table so we could look out over the bay and the mountains. The view from the cottage is truly breathtaking. 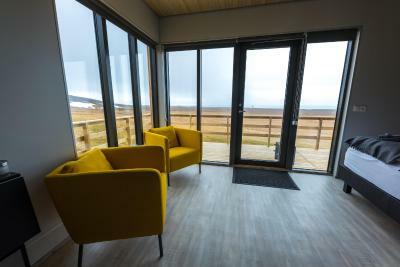 It's a very quiet location, but close to a village, and ideally located for sightseeing around Snaefellsnes. Would be great to come back in summer, to see the mountains clad in green instead of white. very small, limited hot water only supports one shower! What an amazing location. Beautiful views of the ocean and mountains with the added bonus of snow on the last couple of days. 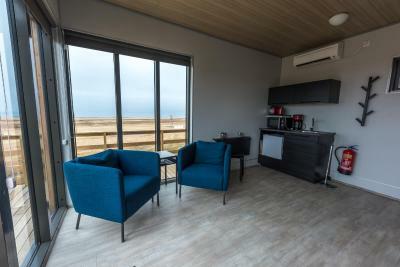 Cottages are warm, clean and well equipped and with fast wifi, what more could you want. 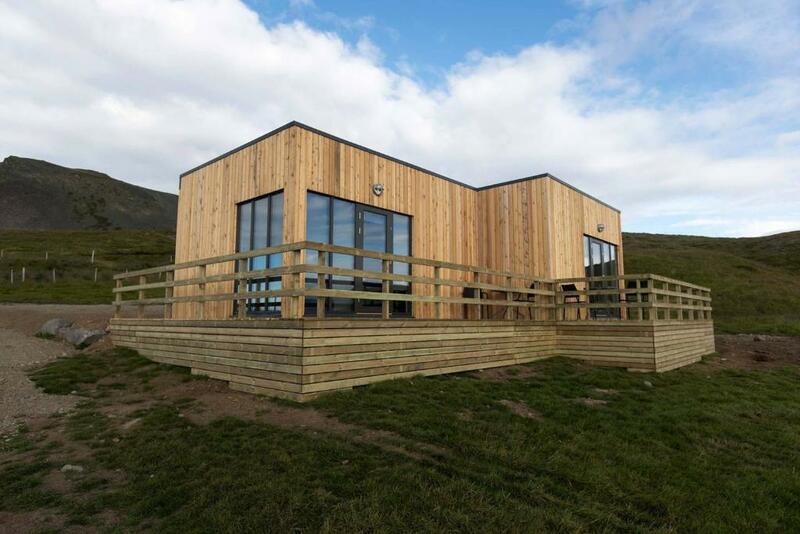 The cottages are situated in a beautiful area overlooking the seashore and mountains - that's the first thing you see in the morning! The windows are large to watch for the Northern lights. The staff is amazing, we got stuck on the car due to heavy snowfall and the staff came to pick us up, then helped to drop us off back at the car. All this at no cost! 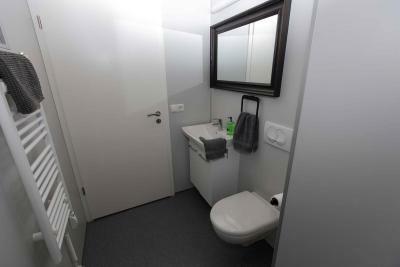 The facilities are very good, everything you need to cook, shower is good, the room is perfectly sized for two persons. All in all, an amazing place to have stayed during our New Year retreat. Nothing at all. Make sure you stock up on supplies before you arrive as there’s not a huge amount going on in Grundarfjordur in terms of shops/places to eat out. Lovely cottage with a stunning view. I had to clean the windows to see the view... very dirty outside, when we are the only guest i think this should be something that the owner could take care, since the view is amazing. 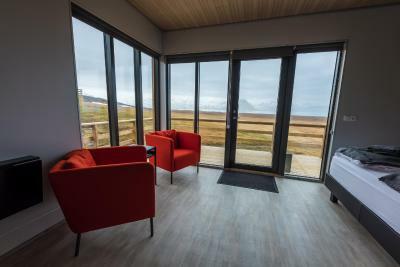 Also the hot water was a big issue, it's not an hour waiting but more like 3, when the thank is empty, i understand that the water is very cold in Iceland, but this should be fixed for the money we paid to rent this cabin.